This lovely stitch and blanket is an excellent project for the fall nights drawing in. 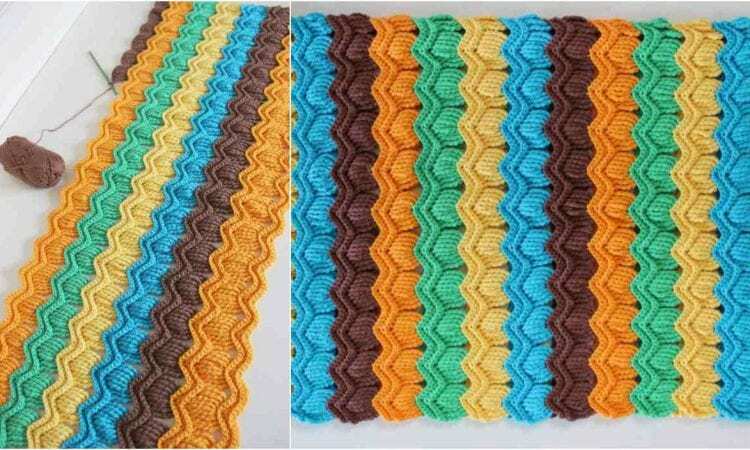 The blanket will be snug and warm, and the stitch gives it a wonderful and rich texture for babies to explore with their hands. If you choose the right colors, you will have a stunner coveted by all. Please see below this beautiful pattern and his marvelous realization. Link to a free pattern is at the end of the post. I FINALLY FOUND THE PATTERN INSTRUCTIONS. I DID NOT SEE IT ABOVE THE AD.